The Defense Information Systems Agency (DISA) provides global information and technology assistance through online services (“net-centric”) for the military and the Department of Defense. DISA helps the United States military forces connect to one another no matter where they are located, pull information needed for their missions, and receive accurate and protected information on any threats they may face. The Agency focuses on delivery of information speed, operational effectiveness and efficiency, and sharing information. Its primary aim is to provide secure and reliable communications networks, computers, software, databases, applications, and other products needed for the processing and transport needs of the Department of Defense. The Defense Information Systems Agency (DISA) was originally named the Defense Communications Agency (DCA) and founded in Washington D.C. in 1960. Also in 1960 DISA moved to Arlington, Virginia and integrated the Air Force Office of Commercial Communications Management, the White House Signal Agency, and the Department of Defense Damage Assessment Center into their agency. During this time, the DISA also established six regional communications control centers and two area centers for operational control of the DCA. During the 1970s, the DCA incorporated the Minimum Essential Emergency Communications Network and the Military Satellite Communications Systems Office; it also became responsible for engineering and operating the Worldwide Military Command and Control System. In the 1980s the DCA absorbed the Joint Tactical Command, Control, and Communications Agency and also formed the Joint Interoperability Test Command to provide interoperability compliance testing and certification. 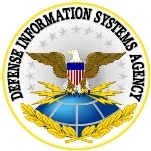 The DCA was renamed the Defense Information Systems Agency in 1991 to reflect its role in providing total information systems management for the Department of Defense. In 1997 the Joint Spectrum Center and the Defense Technical Information Center were absorbed by the DISA. The Base Realignment and Closure’s 2005 decision consolidated DISA and moved its headquarters to Fort Meade, Maryland in 2008. All DISA personnel completed relocation by July 2011. The Defense Information Systems Agency (DISA) is a combat support agency of the Department of Defense responsible for planning, developing, fielding, operating and supporting command, control, communications, and information systems. The agency works to make information virtual and on-demand through its core services. These services include enterprise services, contracts, spectrum services, network services, voice services, information assurance, computing services, and testing. The DISA has many “services and capabilities” programs, including an acquisition planning and execution tool to enable customers to develop, save, route for review and/or print using a single Web browser such as Internet Explorer or Netscape. Another tool is the Defense Message System used to record organizational messaging by the Department of Defense; it provides multimedia messaging, directory and security services. Additionally, the agency operates the Global Information Grid Enterprise Services Engineering directorate that plans, engineers, acquires, and integrates secure global “net-centric” solutions to satisfy needs during wartime. Enterprise services also include NETWARS, a network wartime simulation program for the Joint Chiefs of Staff to use for modeling military communication systems; by simulating communications effects of formed or planned networks, NETWARS helps to quantify risks and identify deficiencies. Under Contracting, the DISA works to provide information on obtaining a contract to work with and for the agency and the Department of Defense in communication and technical services. Here you can find the contracts guide, contracts available, and who is already contracting with the DISA. Some of the contracts already established are with CenturyLink with a $250 million, multiyear order for high-speed private line services, Qwest Communications with a $100 million contract for a multiyear task order for advanced data services, and General Dynamics with a potential $476 million, five-year contract for IT services. Spectrum Services include the Joint Spectrum Center and the Strategic Planning Office that lead in engineering expertise and services dedicated to ensuing effective use of the electromagnetic spectrum. An electromagnetic spectrum is the range of all possible electromagnetic radiation and extends below the frequencies of modern radio. They develop and provide support for spectrum planning, and work to manage the use of comprehensive and integrated spectrum planning and its access. The Strategic Planning Office is also responsible for dealing with national spectrum issues, international spectrum coordination and for pursuing emerging spectrum efficiency technologies to new Product acquisitions by the Department of Defense. Command and Control systems provide the commander with the information to make effective decisions and provide soldiers the capability to access the information necessary to complete their mission. The DISA also serves as the single senior manager for all Defense Information System Network activities. Its Network Services therefore include support for the products and services offered by DISA and they provide technical assistance for the Department of Defense long-haul networks. Combined with these are the voice services that deal with providing private-line telephone networks, mobile networks, and secure voice and voice-conferencing capabilities for the President, Secretary of Defense, Joint Chiefs of Staff, and other agencies. Business Service Management, which provides budgetary, financial, and logistical support to management, as well as develops pricing strategies. Customer Relationship Management provides all customer workload support, including engineering, proposal development, acquisition, implementation, service level agreements, billing/invoicing review. Operations provides management, operations, and maintenance of all assigned DISA information processing systems. Chief Information Officer/Chief of Staff oversees the operation of Enterprise Services Directorate and the Computing Centers. Service Design and Transition plans lifecycle management and status reports for major facilities and communications infrastructure initiatives. Technical Program Office oversees the development and implementation of Enterprise Service's strategy. The DISA testing component is called the Joint Interoperability Test Command and conducts testing of national security systems and information technology systems hardware, software, and components. Tests work on looking at product and system development, conformance, interoperability, operation, and validity. The Defense Information Systems Agency (DISA) spent more than $84 million on 238 contractor transactions between FY 2002 and FY 2012, according to USASpending.gov. The top types of products or services used were logistics support ($23,260,193), ADP & telecommunications ($18,264,541), research & development for space flight operational systems development ($6,592,342), systems engineering ($5,474,679), and automated information system services ($5,357,520). The Defense Information Systems Agency (DISA) found itself involved in the prostitution scandal that embroiled the Obama administration in April 2012. Controversy erupted after it was revealed that 24 people—12 Secret Service and 12 U.S. military members—were accused of hiring prostitutes in Colombia while preparing for President Barack Obama’s visit. Among the military under investigation was a member of the White House Communications Agency, which DISA oversees. A Pentagon official confirmed that the unnamed individual admitted to superiors that he was involved in misconduct “of some kind” while in Colombia for the Summit of the Americas. Arguably the most important building in the U.S., the White House has gone until now without wireless Internet service, something even mom-and-pop stores provide. But in 2012 the DISA began searching for a way to provide a secure Wi-Fi network for President Barack Obama’s place of work and rest. The agency said the absence of Wi-Fi had negatively impacted the daily work of White House staff members who had become accustomed to communications mobility. So, the White House Communications Agency (which is managed by DISA) issued a request for contractors to submit proposals for how to develop and implement a safe and secure Wi-Fi system that could meet Department of Defense standards. The DISA, which is charged with providing email and Internet access for vital government operations ranging from the Pentagon to the White House, experienced two outages in nearly four months. In November 2011, an equipment failure occurred within a DISA storage-area network that brought down the agency’s web site and prevented Department of Defense personnel from accessing “collaboration apps,” including training and file sharing, according to InformationWeek. The problem proved serious and difficult to resolve, for it took five days for the DISA to get things operational again. Then, in March 2012, the DISA found itself restoring another disruption in Internet service. The problem impacted network users from Washington D.C. to the Midwest, causing them to go without Internet access for about three hours. Air Force Lieutenant General Ronnie Hawkins, head of the Defense Information Systems Agency (DISA), came under fire in 2012 for including obedience to God in a presentation to subordinates. The Military Religious Freedom Foundation, which received complaints from nearly two-dozen DISA employees, called for Hawkins to be court-martialed for violating his oath to the Constitution. Hawkins said his presentation was taken out of context, and that the rules applied only to his personal beliefs and were not intended to be a directive to airmen under his command. In 2002 the DISA was involved in a contractual controversy in which they awarded work on the Defense Research and Engineering Network, a high-speed linkage for more than 5,000 scientists at universities and Defense Department locations. The initial award went to Global Crossing, a telecommunications firm. However, the agency withdrew the award a few weeks later due to protests by losing bidders who argued that Global Crossing did not meet specific security requirements. After 10 months of controversy and debate among the five vendors vying for the position, the agency awarded the 10-year, $450 million contract to WorldCom Inc. The Defense Information Systems Agency (DISA) announced two significant reforms in 2012 intended to improve its network communications around the globe. In January, DISA said it would expand “enterprise services” to soldiers operating overseas in remote areas where currently it is difficult to deliver communications. The plan called for altering its approach that pushed information from centers in the U.S. out to far-flung parts of the world. Instead, the new model would support “disconnected, intermittent and low bandwidth user environments by moving data from the edge to the core,” reported GCN. A few months later DISA said it would develop a single worldwide network within eight years that will include all types of wired and wireless communications, with voice, video, and data transmitted around the world at 100 gigabits per second—10 times speedier than the circuits it’s using today. Should the DISA be involved in cloud computing? Cloud computing in recent years has begun replacing current operations in which information and data are stored on local servers maintained by a federal office or agency. This shift was pushed by the Office of Management and Budget in 2010 with a directive for all departments to follow a “cloud first” policy in order to reduce hardware and software costs. It was estimated that moving to the cloud could reduce the government’s IT costs by anywhere from $12 to $20 billion. Since the Obama Administration announced its cloud-computing plan, the Department of Defense, and more specifically the Defense Information Systems Agency (DISA), has become increasingly interested in ways to take advantage of this system’s potential benefits. But concerns have surfaced about this switch and its potential impact on security and other priorities. DISA has already taken some big steps into using cloud computing. It has launched the Rapid Access Computing Environment (RACE), which allows Pentagon offices to utilize virtual servers and storage from a Web portal. DISA offers military departments and agencies raw storage and bandwidth as well as applications hosting and technology that moves data closer to users. For instance, the U.S. Army agreed to have DISA host all its email, which gave the agency responsibility for 1.4 million unclassified users and 200,000 secret users in the DISA cloud. This move was touted as a way for the Army to enjoy significant cost savings of upward of $100 million a year. DISA leaders argue their cloud computing services are very safe, with all infrastructure maintained within the Pentagon’s intranet. Finally, the agency intends to compete with private companies in offering cloud-computing choices to defense operations. The DISA points out that one advantage it has is familiarity with meeting defense security standards, something not all contractors can boast. Perhaps the biggest obstacle to defense offices using the DISA cloud is the worry over whether the information will be safe and protected from hackers. The Pentagon handles a significant amount of sensitive data, and safely migrating information offsite to the DISA will be a challenge, critics contend. Even though DISA says its cloud is “private,” some point out that contractors or commercial software may still be involved in the growth of the agency’s cloud computing services. Opponents also warn that there may be resistance to a cloud-computing switch because some managers won’t want to give up their “favorite app.” Turf wars are a longstanding problem within the Defense Department, and this bad habit may arise when it comes to making large IT changes. Another point of concern is cost transparency. Because of the way the Pentagon budgets its work, it may prove difficult for managers to compare their current cost of maintaining their own servers versus moving things to the DISA. Finally, policy and legislative challenges could trip up attempts by Pentagon offices to embrace the DISA cloud, according to Mike Krieger, deputy chief information officer for the U.S. Army. Where can a citizen report an employee from DISA who is known to have lied to federal investigators about his Top Secret security clearance especially if such lying is ongoing? Army Lt. Gen Alan Lynn was named director of the Defense Information Systems Agency (DISA) on July 23, 2015. Lynn graduated in 1979 from California University of Pennsylvania with a bachelor’s degree in English. He was in ROTC in college and was commissioned as a second lieutenant upon graduation. Lynn started his Army career as an air defense artillery officer, even going to the Defense Language School to learn Italian before being sent to lead a Nike Hercules special weapons warhead team in Italy. Lynn transferred to the Signal Corps in 1984 and began working his way up the chain of command. He was a brigade signal officer in the 1st Infantry Brigade, 101st Airborne Division in operations Desert Shield and Desert Storm in 1990. Then in the late ‘90s he was deployed to Bosnia as commander of the 13th Signal Battalion. In between, along with other assignments, he served for a time as White House social aide for President Bill Clinton. By 2000, Lynn was in the Network Management Division in the Pentagon. He also earned an M.S. in national resource management that year from the Industrial College of the Air Force. After the 9/11 attacks, Lynn was made division chief for the Commander in Chief for Operations and Support Division. In 2002, he took command of the 3rd Signal Brigade and was deployed to Iraq. Lynn returned to the U.S. and in 2005 moved into the office of the Army’s Chief Information Officer and became executive officer to the CIO. Lynn moved to the DISA in 2007 as the agency’s chief of staff. In 2008, he was named commander of the 311th Signal Command, in charge of Army communications in the Pacific. He was named the Army’s Chief of Signal in 2010 when he was made commanding general of the Signal Center of Excellence, the main information technology college for officers and non-commissioned officers. In 2012, Lynn was named commander of the Army Network Enterprise Technical Command at Fort Huachuca, Arizona. The following year, he was named vice director of DISA, where he served until taking over the agency. Lynn is married; his wife’s name is Brook. The Department of Defense agency that provides global information and technology assistance through online services for the military has a leader who stepped into controversy almost from the very beginning of his tenure. Lieutenant General Ronnie D. Hawkins, Jr., has been director of the Defense Information Systems Agency (DISA) at Fort Meade, Maryland, since January 2012, succeeding Carroll Pollett. At his first “commander’s call” presentation on February 15, Hawkins showed a presentation that included two slides titled “Ronnie’s Rules” setting forth 18 priorities, the first and last of which are “Always put God first, and stay within His will” and “Always remember God is good—all the time!” Coming just months after incoming Air Force Chief of Staff Norton Schwartz issued a service-wide memo sternly reminding his officers not to proselytize or show favoritism toward religion, Hawkins’s presentation led several members of his staff to report it to the watchdog group Military Religious Freedom Foundation, which brought the situation to the attention of the public and the Air Force command. Born in 1951, Hawkins comes from a military family. His grandfather, Charlie Hawkins, was a Buffalo Soldier in the 10th Calvary Regiment, which was formed at Fort Leavenworth, Kansas, in 1866 as an all-African-American regiment. Hawkins’ father, Ronnie Hawkins, Sr., served in Vietnam and retired as a chief master sergeant, the highest noncommissioned officer rank in the Air Force. The younger Hawkins credits his father with inspiring him to go into the Air Force: “His work ethic convinced me that’s what I wanted to do as well,” Hawkins has said. A self-described military brat, Hawkins’ family moved around a lot, living in Peshawar, Pakistan, before eventually moving to San Angelo, Texas, home of Goodfellow Air Force Base, where he graduated San Angelo Central High School in 1973. Hawkins wanted to attend college at the Air Force Academy, but he failed the physical because his wrists, which he had broken playing football, lacked full range of motion. Turning down offers from the University of Hawai’i and the University of Houston, Hawkins accepted a track scholarship at Angelo State University, where he earned a B.A. in Business Administration with an emphasis on information technology in 1977, and was commissioned an officer through the Air Force ROTC program. He later earned an M.S. in Management and Human Relations at Abilene Christian University in 1985 and an M.S. in National Resource Strategy at the National Defense University in 1997. Hawkins’s early career assignments exploited his technical education, including service as a computer systems analyst at the Strategic Air Command at Offutt Air Force Base (AFB) in Nebraska from January 1978 to July 1981; as chief of the Data Automation Division of the 96th Bomb Wing, and later as chief of Operations Division of the 1993rd Information Systems Squadron, both at Dyess AFB in Texas from July 1981 to June 1985; and as inspector and later executive officer to the vice commander, at the Air Force Communications Command at Scott AFB in Illinois from June 1985 to June 1988. He then served four years at the Air Force Academy in Colorado Springs, Colorado, first as commander of Cadet Squadron 24 and later as executive officer to the superintendent, from June 1988 to July 1992. After a year of studying at the Air Command and Staff College at Maxwell AFB, Hawkins served at the Air Force Joint Staff at the Pentagon, first as support manager for command, control, communications and computer systems, and then as action officer for the Defense Information Systems Network and Integrated Data Systems, from July 1993 to July 1996. After earning his second M.S. degree at the National Defense University in 1997, Hawkins served two command assignments at Air Combat Command at Langley AFB in Virginia, first as commander of the Computer Systems Squadron from July 1997 to June 1998 and then as commander of the Communications Group from July 1998 to March 1999. He then served a series of directorships, including director of Command, Control, Communications and Computer Systems at the Joint Task Force-Southwest Asia from April 1999 to April 2000; director of Communications and Information, at the Headquarters of Pacific Air Forces at Hickam AFB in Hawaii, from May 2000 to April 2003; and as director of Communications Operations at the Office of the Deputy Chief of Staff for Installations and Logistics, in Washington, D.C., from May 2003 to June 2005. After almost a year and a half as commander of Air Force Officer Accession and Training Schools, Air University, at Maxwell AFB, from June 2005 to November 2006, Hawkins served as deputy chief of staff of Communications and Information Systems at the Multi-National Force-Iraq in Baghdad, Iraq, from December 2006 to December 2007. Returning to the Pentagon, Hawkins served as deputy director for Policy and Resources (and later as director of Infrastructure Delivery) at the Office of Warfighting Integration, and as chief information officer in the Office of the Secretary of the Air Force, from January 2008 to September 2009. He was first assigned to DISA in September 2009, serving as vice director until July 2011, and then as deputy director for Command, Control, Communications and Computer Systems at the Joint Staff from July 2011 to January 2012, when he returned to DISA as director. Hawkins married his high school sweetheart, Maria Garcia, and they have two sons and a daughter.